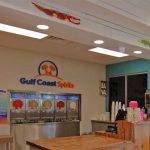 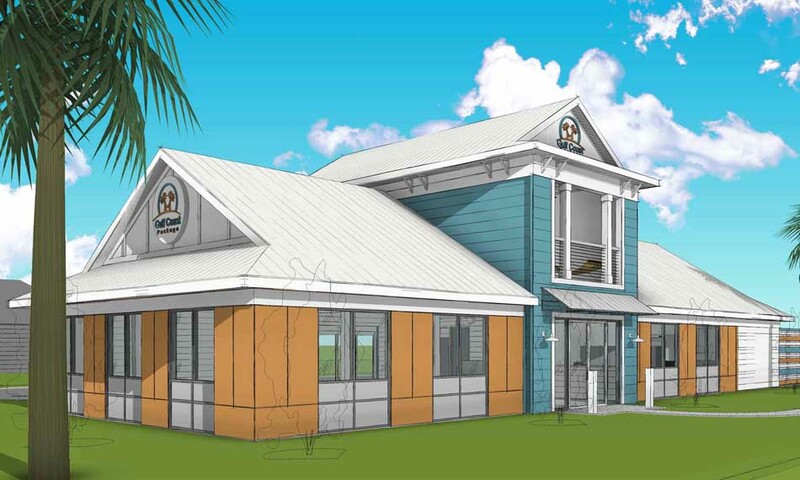 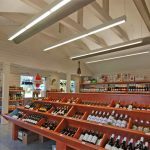 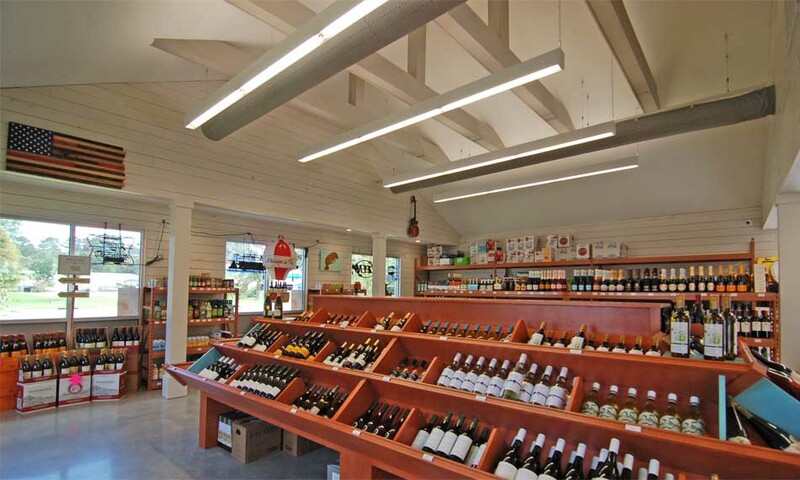 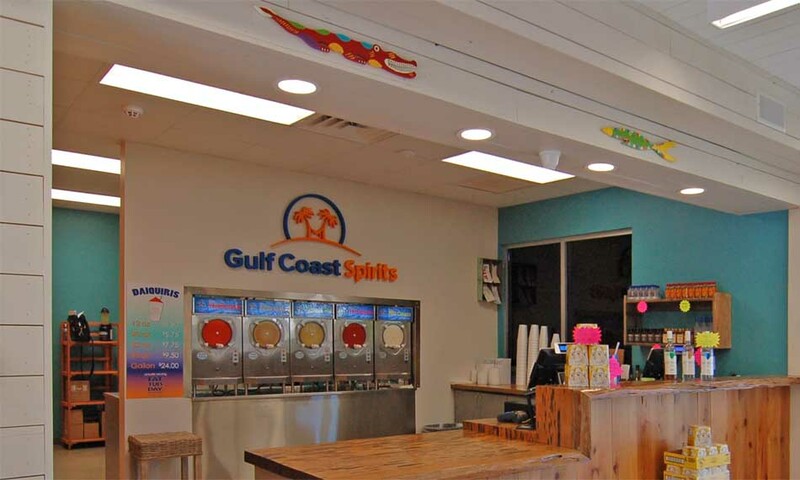 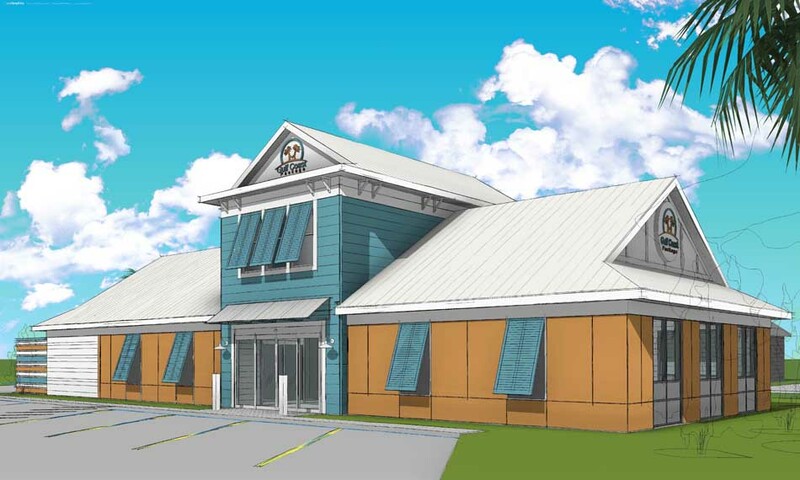 This 3,500 square foot liquor store has a retail sales floor, large walk-in beer cave, daiquiri sales, office, private upstairs balcony and support areas. 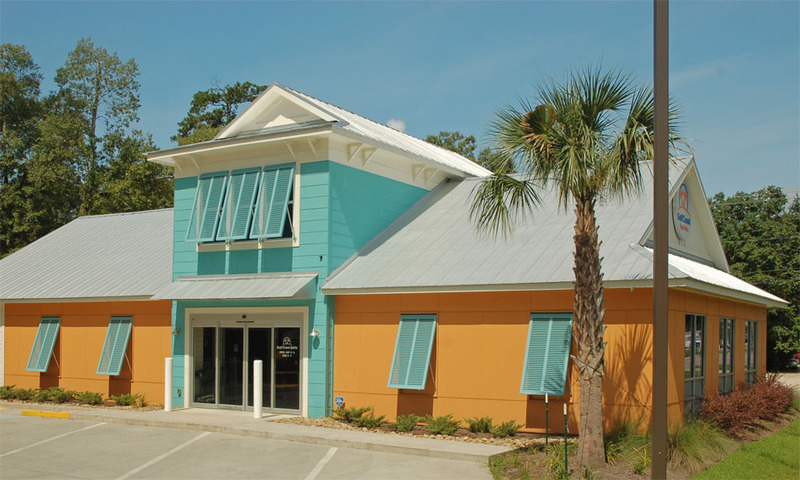 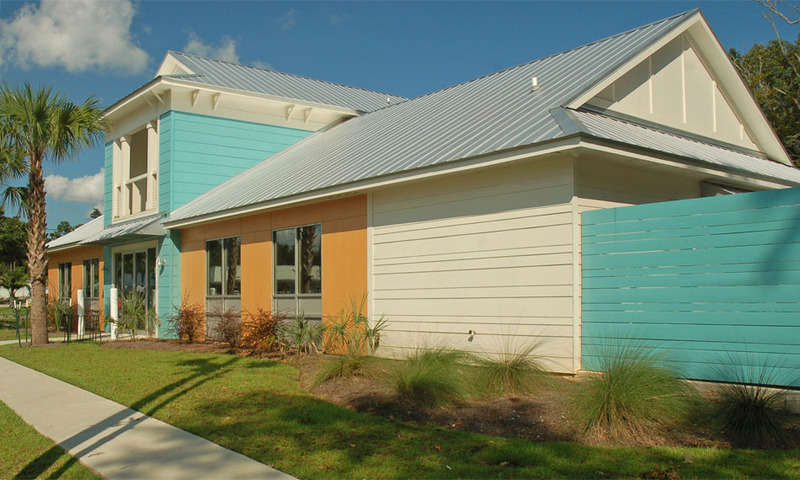 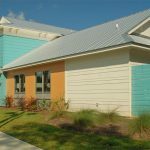 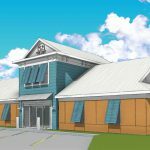 The exterior features various colorful applications of fiber-cement siding and panels, for an aesthetic that falls between contemporary and more traditional design. 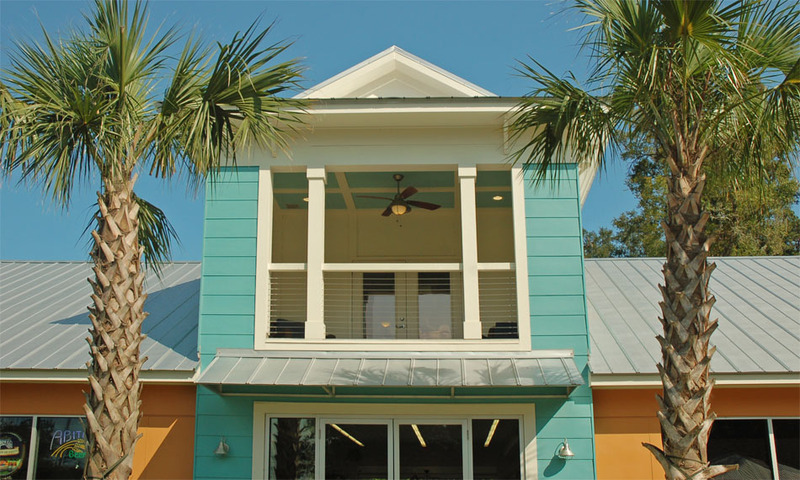 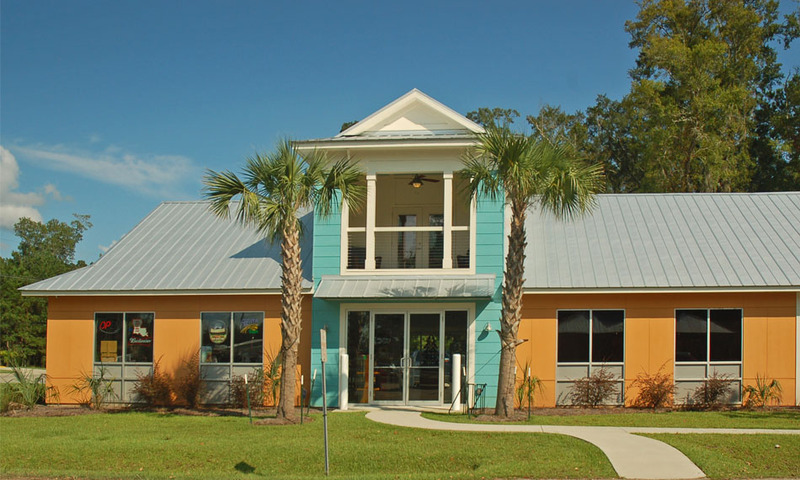 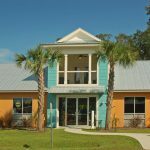 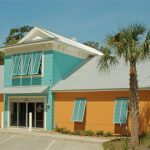 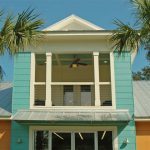 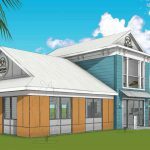 This colorful transitional coastal look works well with the site, which is in the Mandeville Historic District, near Lake Pontchartrain.